Existing DIY options have been a great solution for meaningful and affordable legal help in transactional law (think: Will, NDA or Power of Attorney). 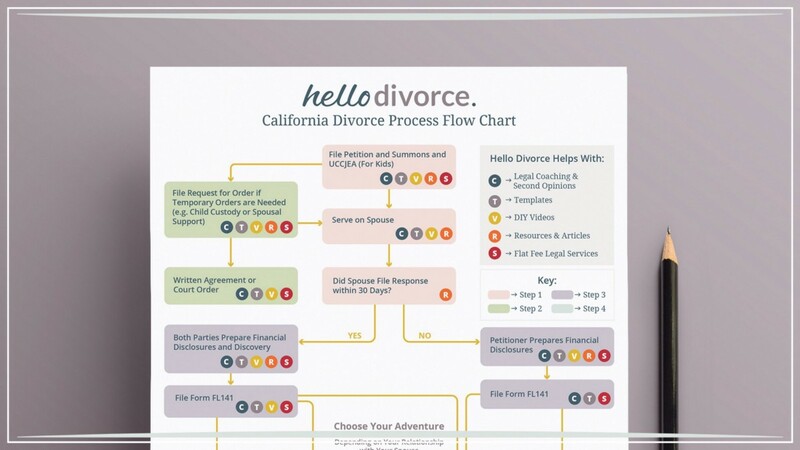 Hello Divorce offers an access to justice equivalent for divorce even though divorce is a complicated legal and procedural process. The answer? Tech + Humans. For 10 years I have owned and operated a boutique family law firm in the San Francisco Bay Area. Every month, without fail, we receive one or two requests from people who used a do-it-yourself (DIY) legal website and had some kind of problem that came from it. They usually want us to fix the problem but at the same time they are frustrated that they have to pay a lawyer to do it. After all, the whole reason they went online was to avoid expensive legal fees. The issues our clients experience range from having their documents rejected by the court for failure to prepare the correct forms (or fill them out completely) to trying to enforce a term in the document (e.g., child support or custody) and not being able to do so because the contract was not specific enough or didn’t say what they thought it said. Sometimes it’s a quick fix — but too often we have to start over, spending hours to correct the damage done. Other times we have to be the bearer of bad news, sharing that little to nothing can be done to fix the problem. (e.g. spouse unknowingly waived financial support). This sounds extreme. But it is common. Why? Divorce is the unwinding of the biggest emotional and financial contract most of us will ever enter into. It is exhausting and heartbreaking (even an amicable divorce) — and it’s easy to get burned out. Navigating the 20+ forms often required for a California divorce, trying to understand how and when to file and serve (deliver) each document, and negotiating with the spouse is a lot to take care of. So, many people just give up, which leaves them vulnerable to the consequences of not filing for divorce properly. Existing DIY options have been a great solution for more transactional type areas of the law that produce documents such as wills or powers of attorney. In consumer-facing areas of law that require participation of the court (such as divorce and landlord/tenant issues), however, navigating the clerks and courts is an art form. While it might not necessarily be rocket science, it is an acquired skill. For example, some counties “require” forms that the state literally says are “optional.” Moreover, forms are worthless if a person doesn’t know where to file them or how to coordinate service. In divorce, people are thrown into the court system just to exit a relationship. It doesn’t require signing one form to be done, it requires many. It’s more a process of sign, file, serve, deliver, file (again) — over and over. And it certainly doesn’t take one day to resolve — it usually takes three to six months with the average time being 18 months. To top it all off, it’s like everything is written in a foreign language. And that language is called legalese and understanding it is a skill known by very few. Because of the procedural complexities and intricate legal requirements associated with divorce, it has long been thought that the prudent way to handle it is to hire a lawyer for full representation. The average cost of divorce in the U.S. is $18,000 ($27,000 if you have children) — per person. Most people can’t afford these high fees and/or aren’t willing to leverage the little financial liquidity they have to pay them, especially in light of the fact that they are moving from one household with one to two incomes to two separate homes. It is no surprise that 85% of Americans do not have representation for their legal needs and approximately 90% of divorces have at least one self-represented party. After learning these statistics, I knew that something had to be done. I knew if I wanted to create a new kind of divorce service, I would have to find a way to make it financially sustainable — not just for me but for other lawyers as well. If I didn’t design a financially profitable model, then no one would embrace this new method of delivering legal services. I was facing a monumental challenge: to create a service that would benefit both the lawyers and the consumers. So, I put aside the risk-averse teachings that I learned as a lawyer and tapped into the creative part of me — the part of me who went into law after having my own disempowering, lonely, and confusing experience with the legal system as a late teen. I never want anyone to feel what I felt, which drives me to take action to change the experience for others. So, I built Hello Divorce. I know it’s easy for lawyers to be skeptical of DIY law — and many turn their back on DIY options. Some might innovate in other ways such as offering flat-fee or unbundled services, both of which are helpful but don’t go far enough to empower consumers or to seriously disrupt the current legal system. But I had an idea and I wanted to see it through. Now that I had decided to go down this path, how would I start? First of all, I had to learn what people really wanted in a DIY divorce service. So, I began a design sprint. With the help of a design and development firm, Yeti LLC, I interviewed people to uncover what people could really use help with as they navigate the divorce process themselves. While technology and efficiency were important factors, they were only two components. Overwhelmingly, people wanted a human connection and they wanted checks and balances to make sure they were on the right course. With that information in hand, I next had to map out the user experience, which may seem elementary to developers and UX people but it was all new to me. 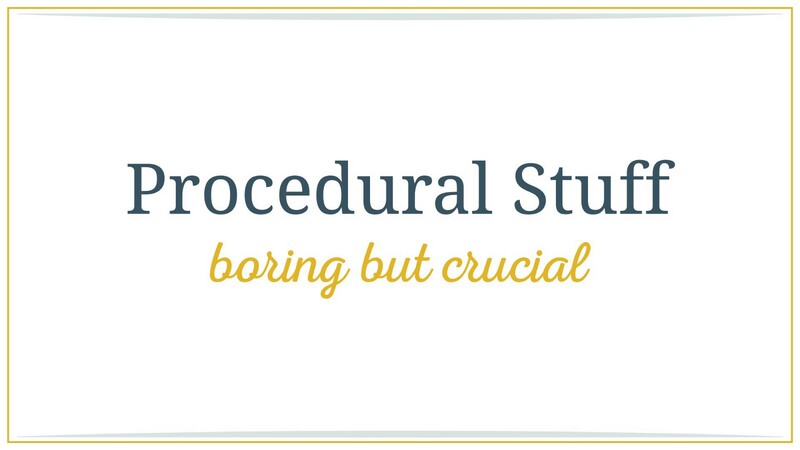 I had to think about every aspect of what happens in the divorce process — not just the forms and procedural steps but the whole process from start to finish. When someone says they want a divorce, it requires not only thinking about living situations, custody of children, and finances but also managing the fear, anger, pain, and sadness that go along with those big life changes. 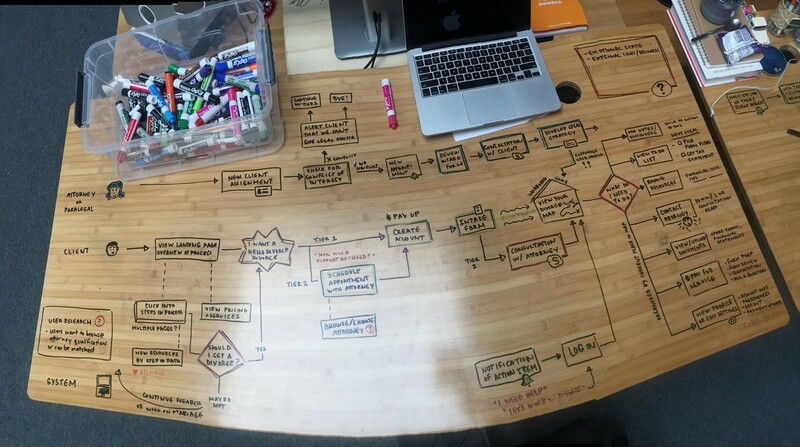 It was crucial to account for the emotional aspects of the process in the user experience. The next step was to determine whether what I had designed was a viable product. I had to test the market to learn if there was even any interest. So, we first built a website using WordPress, taking advantage of every available add-on and integration possible to bootstrap together a site that would work. It was a delicate and exhausting process. A lot of late nights were spent manually working on the website back-end in order to create a seamless experience for the consumer. On top of figuring out the technology, I had to tackle several ethical concerns, some of which included unauthorized practice of the law, fee splitting, and conflicts of interest. I actually invested the most money in trying to figure out how best to create something that didn’t violate existing regulations. The website and concept were met with mixed reviews. I definitely had some haters, including a Stanford professor I was introduced to at a women-in-tech retreat who accused me of giving false hope to consumers and violating regulations. But what I found was that industry innovators and legal technology people rallied behind me and encouraged me all the way. So, I built a tribe of good humans and brilliant legal minds and began the hard work of attracting clients. With no advertising dollars spent and only grassroots marketing efforts, we got clients. Our services ranged from DIY divorce to legal-document-assisted divorce and lawyer-led divorce. Even people who had been engaged in mediation turned to us for negotiation strategy and/or to review their marital settlement agreement before signing it. The best part is that we offered these services for incredibly reasonable prices. All fees, whether subscription-based or fixed-rate, averaged approximately $1,500 — which is roughly $20K lower than the average cost of a divorce. This month (April, 2019) we are launching Divorce Navigator 2.0 — a best-in-tech, first-of-its-kind platform and now a new mobile-friendly app that we developed with the design and development firm Yeti LLC. Divorce Navigator integrates impact-thinking design and form-generating software from Documate that guides users step by step through the divorce process. Anyone can use it and it works even if the other spouse does not use it. In fact, even if someone has full representation through an attorney, they can use it to prepare all the forms on their own and then bring them to their lawyer to review. Here’s how it works. First, the user completes a guided interview. As a certified family law specialist, I called on my 15 years of experience to create questions that will elicit the best responses. Both the platform and app use artificial intelligence and conditional logic to ask users only the questions (sans legalese) that they need to answer to populate the forms that apply to them and are most likely to be accepted by the court clerks. Divorce Navigator also includes guidance for filing and/or serving legal documents as well as the option to have us do this for you. All users also have on-demand access to experienced (and kind) flat-fee lawyers to review, coach, and help determine if full representation is in the client’s best interest, especially when a lot is at stake. And for extra support, Divorce Navigator includes free tools and resources such as flow charts, tutorial videos, wellness posts from influencers in the legal coaching and therapy space, and self-care checklists. The best part? The service costs $99 per month, which can be upgraded, downgraded, or canceled at any time. It works because we take a holistic approach to divorce. 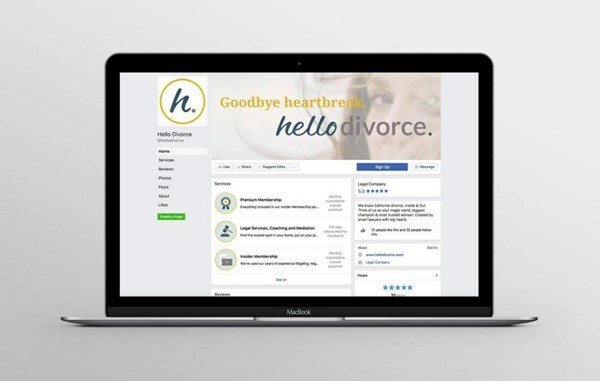 Unlike many other online divorce services, Hello Divorce thoughtfully focuses not only on the end result but also on the user experience along the way. We understand that our subscribers have a lot on their plates and that the logistical complexities of divorce can feel overwhelming and paralyzing. To that end, we have streamlined the process to help eliminate the stress and unknowns of the California divorce system using high-quality and cost-effective methods. In divorce, fear leads to anger and anger to irrational decisions. Many traditional divorce cases can get contentious when divorce attorneys aggressively make excessive demands of the other party. But with Hello Divorce and Divorce Navigator, a spouse can come to our website or use our app and see that our goal is not to make the divorce solely about the ex but rather to make it about each individual — each spouse’s journey to break up, break through, and break out. So, even if clients end up accessing a fixed-fee lawyer through Hello Divorce (or engaging a different divorce lawyer), they are paying them for what they should be using lawyers for: to problem solve, strategize, protect rights, and review and revise documents, not drafting forms, delivering them to a courthouse, and coordinating service, etc. We are thrilled to be helping make the often-painful experience of divorce more accessible and manageable for more people. We are in our infancy and have a number of goals to meet. Hello Divorce is currently only offered in California, where we know the divorce laws specific to the state. But we are making plans to expand our service to additional states. Visibility is difficult without financial backers but viability is even more challenging. We must convince our community that Hello Divorce offers a viable alternative to the traditional status quo attorney model. We acknowledge that we have plenty of room for improvement — but we are certain we will as we grow and evolve.